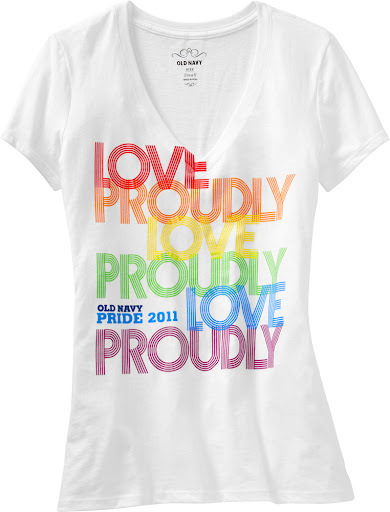 On Monday, May 30th Old Navy will sale limited edition gay pride t-shirts only available at 26 locations. Some of my good friends are gay and their stories of being bullied and ridiculed for being who they are is just heartbreaking. 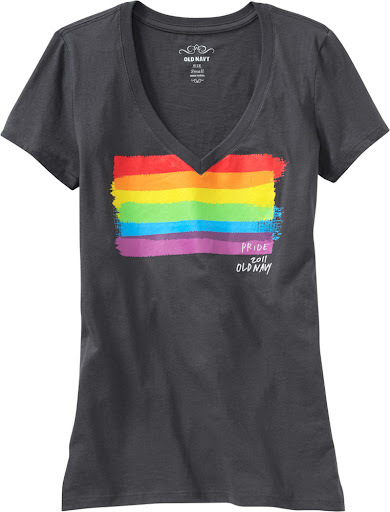 The best thing about these limited edition shirts is that 10% of sales will be donated to the wildy prolific It Gets Better Project founded by Dan Savage.